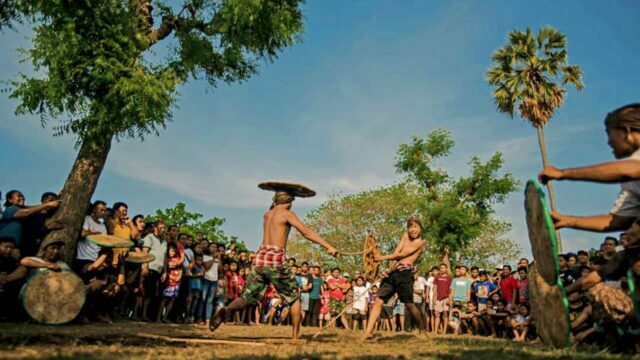 Pemuteran Bay Festival is an annual celebration held by the local community. Lies in the northwest part of Bali, Pemuteran is a village with tremendous tourism potentials. The coastal village is the example of a well-managed ecotourism community. In the past, Pemuteran Bay has won the United Nation's Equator Prize. Particularly for their effort in coral rehabilitation and sustainable biodiversity. 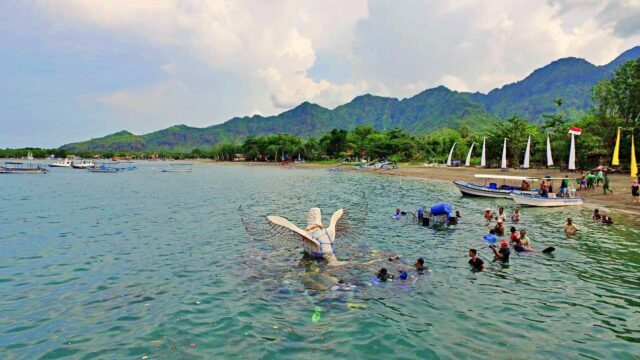 Pemuteran is famous for its snorkeling and diving spot. As it's home for rich marine biodiversity. 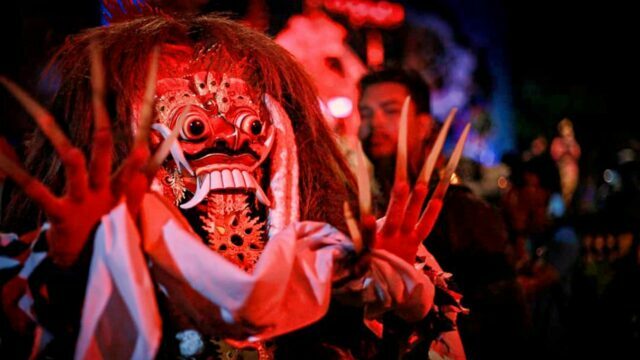 But more than that, one should not leave Bali tradition and the cultural aspect. Through the event, the organizer introduces everything else about Pemuteran apart from the underwater. There are numerous events visitors can discover at the festival. There will be stage performances and cultural exhibitions. Also, yoga classes by the beach and beach cleanup are on the schedule. Of course, the diving festival is still the highlight. Workshops and exhibitions related to marine tourism are there among the main events. The award-winning conservation method used by this village is called Biorock. The method is as follow: Baby corals are planted on an iron structure. The metal then electrified with a weak current of around 3.8 to 12 volts. This electrical current means to attract minerals beneficial for building the corals gradually. The interesting part is the iron-made skeleton for the corals. They are sculptured into various Bali mythical figures. 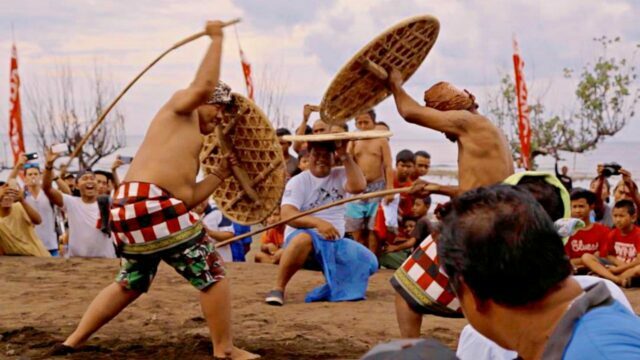 Each year on Pemuteran Bay Festival, the foundation sink a new iron structure. Visitors are more than welcome to participate. Either in releasing ceremony or the baby coral planting. Yes, there will be a religious procession along the release. Combine both diving skill and photography on this underwater photo contest. Just exploring around is one thing. But while also capturing the marine beauty, that clearly requires extra effort. Don't worry though, aside from the thrill, the prize for the winners is also worth it. Even if participants do not win any title, everyone still guaranteed to have these two things: experience and memory. 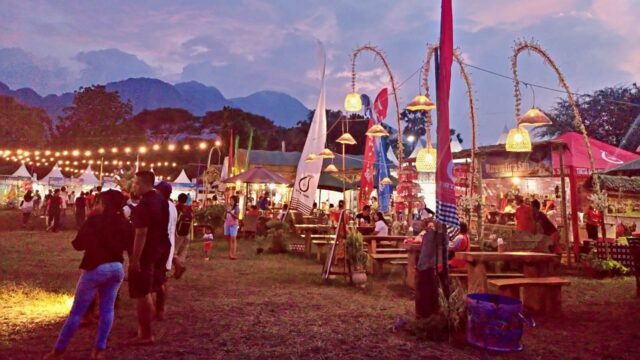 The expo of Pemuteran Bay Festival offers a variety of experience. Walk around the booth to taste culinary, buy some handicrafts, or see the diving booth. For culinary, try the local specialty Betutu duck. A whole duck roasted with the best of Indonesian spices. There's nothing more mouthwatering to eat especially after a diving session. Sample other Balinese delights such as pork meatball, suckling pig, and various seafood dishes. Take a look at handicrafts booths. Especially those which display underwater-themed handicrafts, proudly made by local artists. Bring home one or two as a memento. Next stop is the diving operator company. Need a trusted and reliable partner for the next underwater adventure? This is an opportunity to find one. Throughout the days this event being held. Enjoy non-stop entertainment coming from the main stage of the festival. The main stage situated right at the center of the expo. So visitors can enjoy both events at once. Watch as local bands perform exotic, unique, fresh-for-the-ears music. Although they may not sound familiar at first. But as always like everything else about Bali, it is still exciting. Fishing hobbyists should not miss Pemuteran Bay festival's fishing competition. Pride is at stake, whoever catches the biggest, he's the strongest. A battle requiring hours under the scorching sun. Do not be too carried away with the heat, though. While waiting for the fish to catch the bait, enjoy each minute gazing over the view of Pemuteran Bay. The exercise for mind and body cannot have a better classroom than Pemuteran beach. With its calm current and refreshing breeze. Pretty sure it's easier to hold longer while doing that difficult headstand pose. Nature is simply being encouraging. After the class session is over, join the beach cleanup session. Because that's one of the ways to give back to nature. Besides, less rubbish equals happier yogis. Pemuteran Bay festival will be held on 13-16 December 2019. 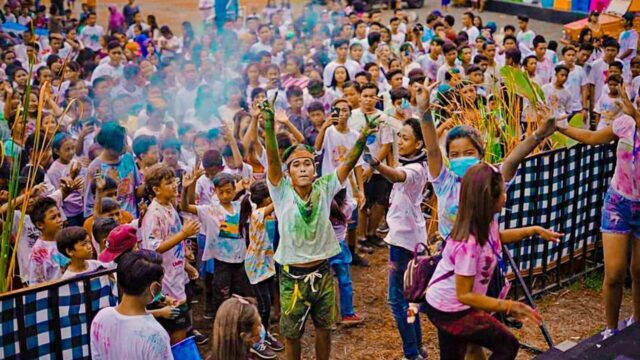 The festival will take place at the cultural center of Tanjung Budaya. It's in the same ground with the village's temple Pura Dalem. Most events are free to join. Some activities such as workshops and competitions require registration beforehand. See: Munduk Waterfall Eco Village, Activities & Guide. Accommodations at Pemuteran Bay are available throughout the village. Be prepared to pay high season rates during the event, though. The village close proximity to Singaraja - Gilimanuk road makes it easy to find basic services such as ATM and restaurants. Tourism-related services such as transport rentals and diving agencies are also easy to find. From Denpasar, head north by Denpasar- Singaraja road. Passing scenic landscape such as Batur Lake and Gitgit Waterfall, the journey will take around 4 hours. When arrived at Singaraja, take a left turn to Singaraja-Gilimanuk road heading to Lovina. continue through Banjar (famous for its hot spring) and Seririt village before arriving at Pemuteran. To get there directly, use a private rental car. Usually, it costs starting from IDR 600k from Denpasar. A trip by public bus costs IDR 40k, available from Mengwi Terminal but they only stop at Singaraja. Visitors will need to make another transfer with a local angkot to Pemuteran. It needs one hour more, getting to Pemuteran from Singaraja.